The memory implantation of science fiction, the movie Inception, and the concept of memory travel has not yet become an actual affair but may be well on its way. Scientists have implanted false memory into mice to create memories that never actually happened. Dr. Susumu Tonagawa a neuroscientist, and his team at the Massachusetts Institute of Technology, recently published this amazing study in the journal Science. Neurons are a combination of electrical current that activates memory to determine the best courses of actions to current events. By manipulating individual neurons, it is possible to place within the mice’s mind the fear of an activity that never occurred. The memories are stored in what is called engrams that are put together to create a behavioral action to certain stimuli in the present. The channelrhodopsin protein was encoded in the brain cells when they were activated during a room exploration process by the mice. Later, when exposed to blue light the protein was activated and changed the memory. This occurred when the mice were placed in a different chamber and an electric shock was given to create a fear response. However, when the blue light was activated the protein laden memory of the first room became associated with the shock. The switching of the shock room creates a profound new finding. The process helps to explain how memory operates and how false memory works in humans. Humans take bits and pieces of things they remember and add them up to make a constructed memory. The problem is that they sometimes include information that is not accurate. There is a way for humans to overcome false memory. This includes the ability to better associate the original memories to their root stimuli and be aware of the alternative explanations. When humans are aware of the pieces of memory and use logic to help them ensure that the pieces fit together, or alternative pieces of information that are more accurate when a single piece changes the meaning of the memory, they can better decipher false from true memory. The concept of comparing and contrasting exact events is call critical thinking. Settling on the facts and then making logical meaning from the facts helps to ensure that the events are constructed in an accurate way. When people make leaps because cause and effect without the associated pieces they are more prone to false memory. It is a little like asking someone why they believe something is true and they cannot go back and pull out the facts to back up their assumptions. Generally, the more intelligent and questioning a person is the less likely they are going to be prone to false memory. A person who questions the facts in any particular event can weigh and balance alternative explanations and then rest on that explanation which is most logical. They may even resign that something is the most logical explanation and they believe it to be true but that alternative explanations are possible. There is also a way to actually overcome false memory in people through the use of technology. A memory creates skin conductance because it is controlled automatically by the central nervous system. Something that never really happened would have a lower level of skin conductance than something that was actually stored within the brain. 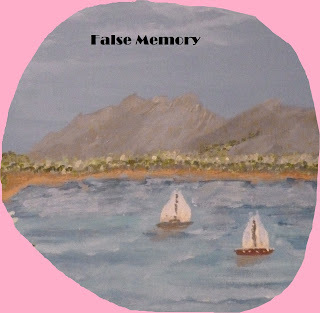 This helps people who accidentally associate false memories with true events separate the two through the vividness of the fact. At present the study was only conducted on mice but does open the possibility of creating and changing memories. Perhaps there will someday be a medical use for this process in helping people overcome trauma or change previously learned negative stimulation to positive stimulation such as a phobia. The study will likely be repeated to create validity and additional data before being tried on more complex mammals. Ramirez, et. al (2013). Creating a false memory in the hippocampus. Science, 341 (6144).